Professor Jane Naana Opoku-Agyemang, Minister for Education, says African countries must increase biosphere reserves to ensure socio-economic development of the continent. According to her, the ratio of biosphere reserves to the number of African countries on the continent must be critically looked at. Speaking at the 4th Session of the General Assembly of the Africa Network of Biosphere Reserves (AfriMAB) in Accra on Tuesday, Prof Opoku-Agyemang said the continent has vast stretch of land and natural resources which should be enlisted as biosphere reserves. United Nations Educational, Scientific and Cultural Organization (UNESCO) defines biosphere reserves as areas comprising terrestrial, marine and coastal ecosystems. Prof Opoku-Agyemang, who is also the chairman of the Ghana National Commission of UNESCO, said climate change affects every spheres of our lives, and a major development challenge for the continent. She suggested that the continent must make use of scientific research to fashion mitigative and adaptive strategies to combat development challenges in order to achieve sustainable development as the continent transition from the Millennium Development Goals (MDGs) to the Sustainable Development Goals (SDGs). 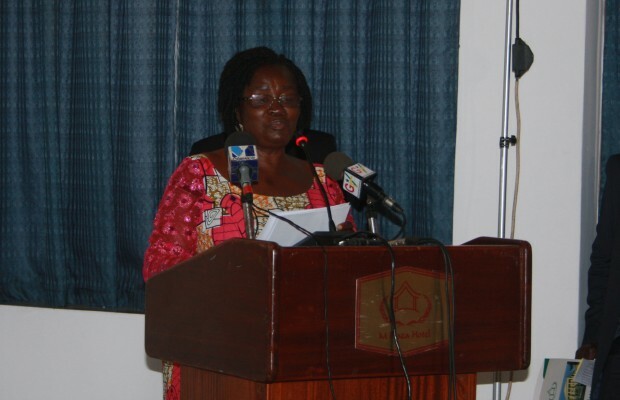 “It is in this light that we are happy that Ghana has submitted to UNESCO a nomination dossier for the enlistment of Lake Bosomtwe and its catchment area as Ghana’s third biosphere reserves in addition to the already existing biosphere reserves in the Western Region and Songhor Biosphere reserve in the Greater Accra Region,” she said. However, Daniel Amlalo, chairman for AfriMAB in his statement, said Africa in its 44-year implementation of the Man and Biosphere (MAB) programme and its biosphere reserve concept, is gradually achieving sustainable development in Africa by addressing challenges associated with biodiversity conservation and natural resource management. “Since the conception of AfriMAB in 1996, the benefits and visibility of the biosphere reserve concept have increased steadily in Africa,” he said.